The Connacht Property Auction is expecting strong interest from buyers over the next few weeks as the team head into their final public auction of 2018. Offered at bids over €95,000 in partnership with Spencer auctioneers. A rare opportunity to purchase two properties set on a site of c1.21 acres. Both properties are in need of complete renovation and are situated within walking distance of Carraroe. The front house is a three bed detached bungalow providing circa 880 square feet. The back property is a traditional stone cottage providing approximately 400 square feet of accommodation. The properties are comfortably set back from the road and there is ample opportunity to extend and develop the site. The lands are partially overgrown but provide a great opportunity for a variety of uses. Offered at bids over €49,000 in partnership with DNG Martin O'Connor. 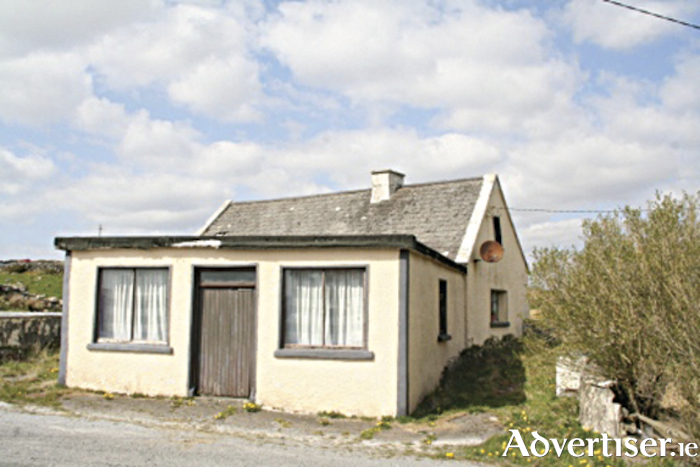 This property comprises a derelict cottage and old shop and is located on the main road into Carraroe from Galway city. The property was in use until about 1990 and is now in need of total refurbishment but still offers excellent long-term potential. Situated in Clynagh, the cottage is built on approximately 0.86 acre and is just a short stroll from a public pier. Offered at bids over €27,500 in partnership with Spencer auctioneers. The property is a cottage of stone construction with a rendered exterior and slate roof. The property needs complete renovation and could be replaced, subject to necessary planning being granted. Planning permission was granted in 2008 for the demolition of the existing cottage and the construction of a new three bed bungalow. The site is relatively level and would not be difficult to develop. The property offers purchasers the opportunity to create a fabulous residence on an attractive site in a great location. The next public auction will take place on November 22 in the Menlo Park Hotel, Galway, at 7pm. Registration starts at 6.30pm.